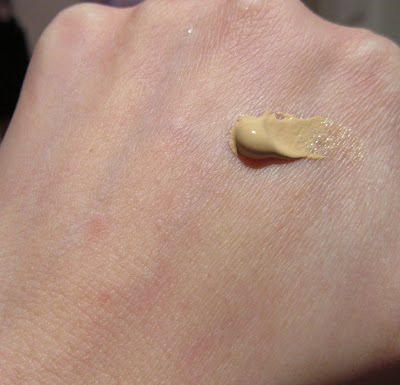 Over the past year, so many Western brands have hopped onto the BB cream bandwagon that it seems like BB creams are just another way for makeup companies to make a quick buck and appear on trend by marketing tinted moisturisers with a smattering of skincare benefits thrown in. 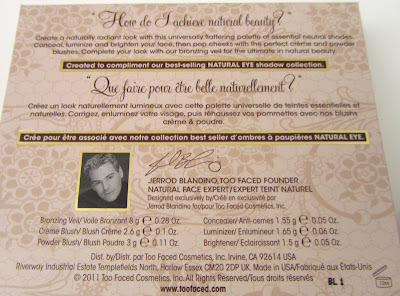 Too Faced introduced its Tinted Beauty Balm SPF20 (US$32/€30/£24.50; 45ml) in spring this year. 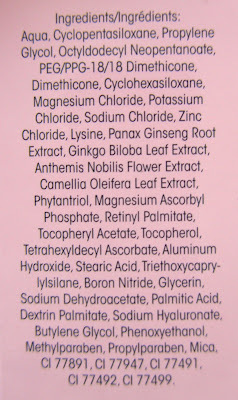 Like any self-respecting BB cream, it provides multiple skincare and makeup benefits in one simple step. Light-diffusing pigments add radiance while the anti-aging complex helps to prime, hydrate and prevent damage, thanks to minerals such as magnesium, potassium, zinc as well as ginseng, ginko biloba, Vitamins A & E and chamomile. From the four shades available, I picked the lightest shade, Vanilla Glow. It is a tad yellow on my MAC NC20 skintone. 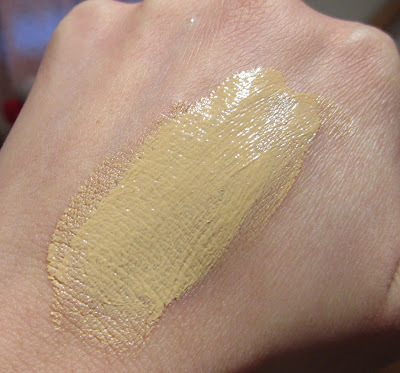 The light cream texture blends out quite easily to a seamless finish, providing light to medium coverage. It does a decent job of evening my skintone but it can't conceal more severe skin pigmentation, dark circles or red blemishes. 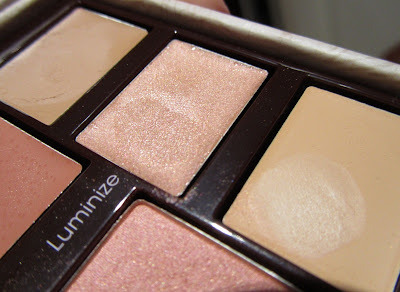 The finish is slightly glowy, which is helpful for counteracting skin dullness. 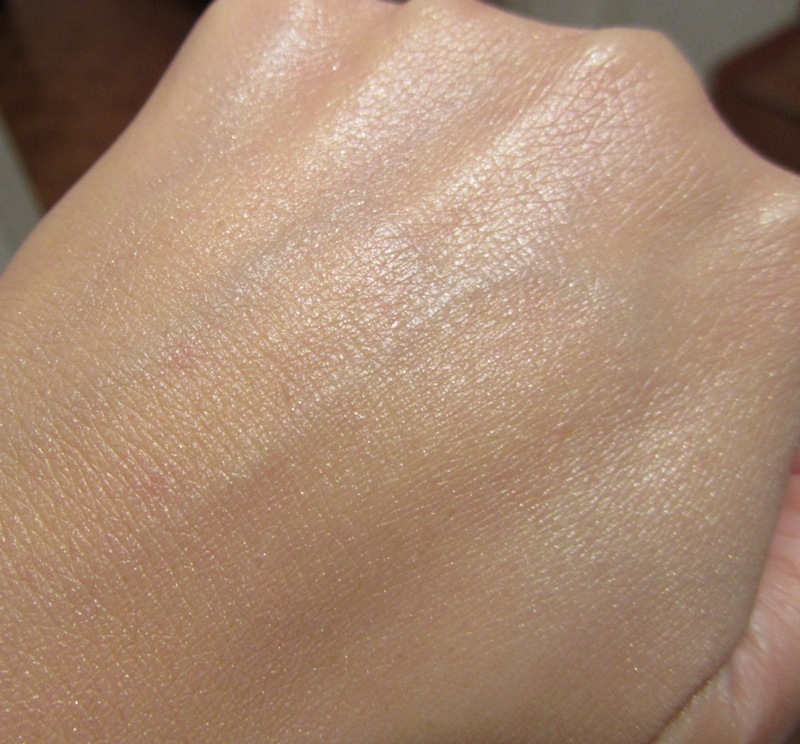 It is not so dewy that one risks looking oily. I found the oil control to be slightly better than most liquid foundations, with blotting required after about three hours. It's not quite Holy Grail material but I do like it for those days when I don't have time to fiddle around with moisturiser/primer and foundation. With this Beauty Balm, I can skip moisturiser in the spring and summer months. It helps the skin look better and healthier, without looking like one is wearing heavy makeup. 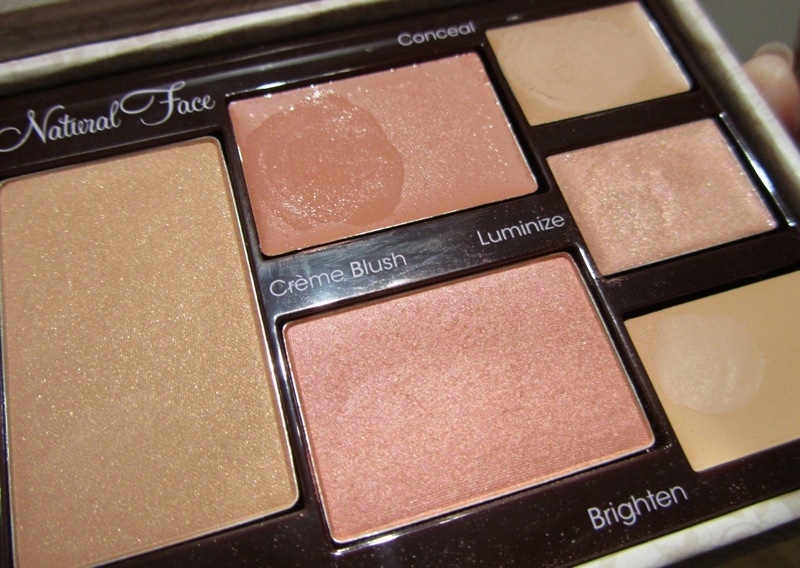 The Natural Face palette (US$39/€36/£31) is another multi-tasker, designed to help create a naturally radiant look. 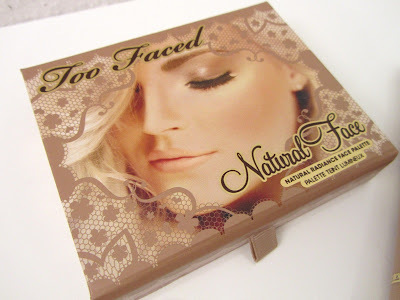 It contains a powder bronzer, a cream blush, a powder blush, a concealer, brightener, luminizer, plus three instruction cards with tips on how to apply the various products. 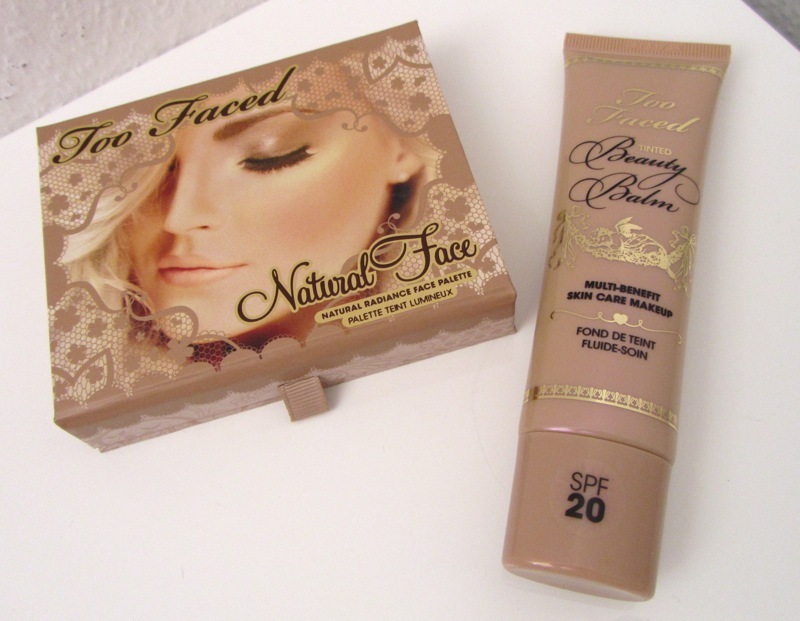 These are very handy for people like me who do not usually bother with bronzer or illuminators. The Bronze Veil is sheer with a slightly glowy finish. The sheerness helps to ensure a natural effect. 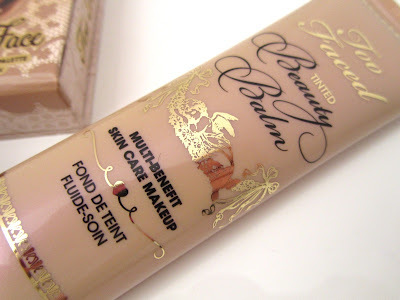 Fortunately, it is also not too dark or muddy for my skintone. 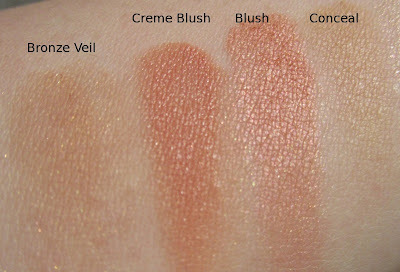 Both the cream blush and powder blush are well-pigmented and give the cheeks a natural flush of color. The powder blush has a more glowy finish than the cream blush, which melds into the skin very nicely. While I like to layer the powder blush over the cream blush, they did fade quite significantly by the end of the day. 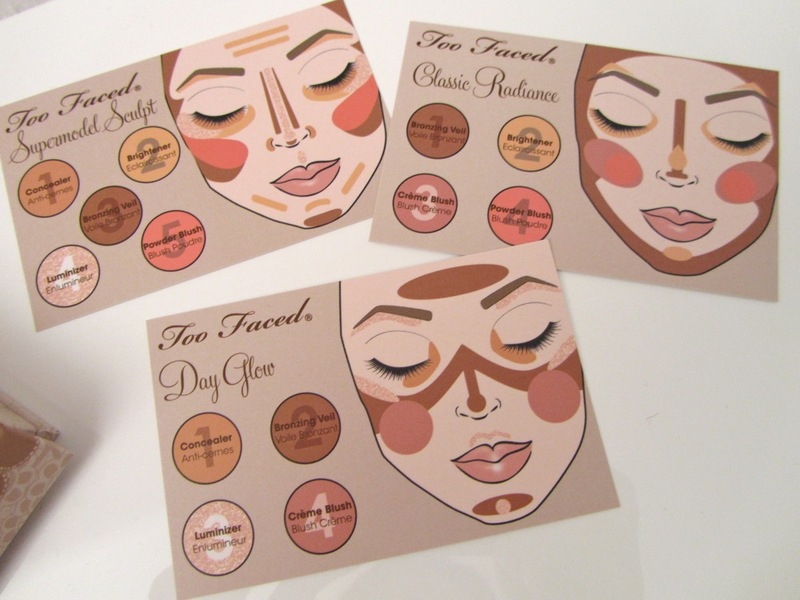 Although the palette is supposed to be universally flattering, the concealer and brightener shades will certainly not suit everyone. 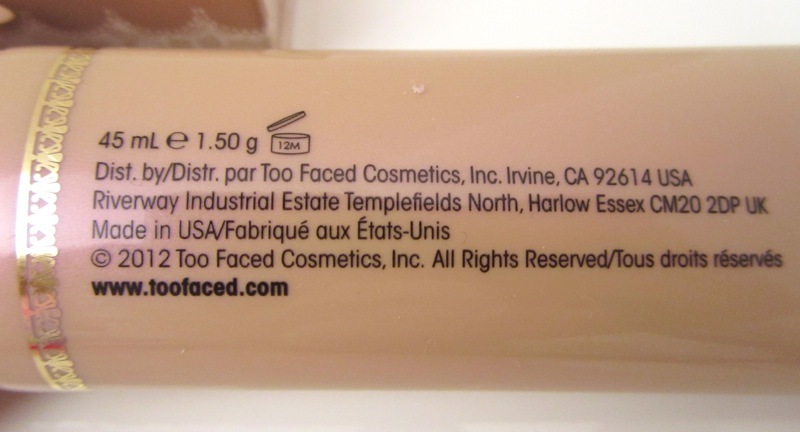 The concealer only helps to partially conceal my under eye circles, blemishes and redness at the side of my nose. The luminizer is good for adding a subtle highlighting effect, for example just above the centre of the upper lip. 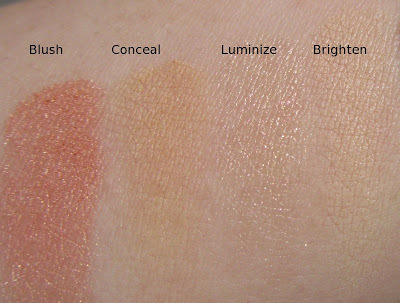 The brightener is lighter and less beige-toned than the concealer. 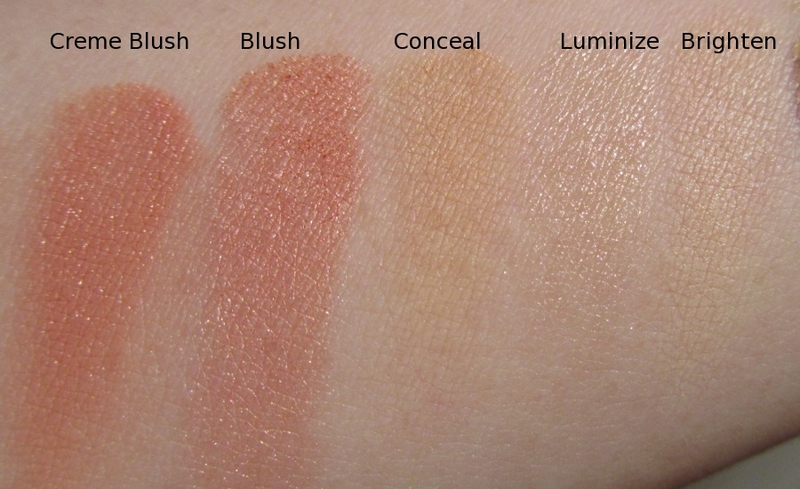 The swatches below were done on bare skin, with two swipes of each product (and only one for the cream blush and concealer). For this look, I'm wearing the Tinted Beauty Balm with the Bronze Veil lightly dusted around the jawline and hairline, and the powder blush layered over the cream blush. 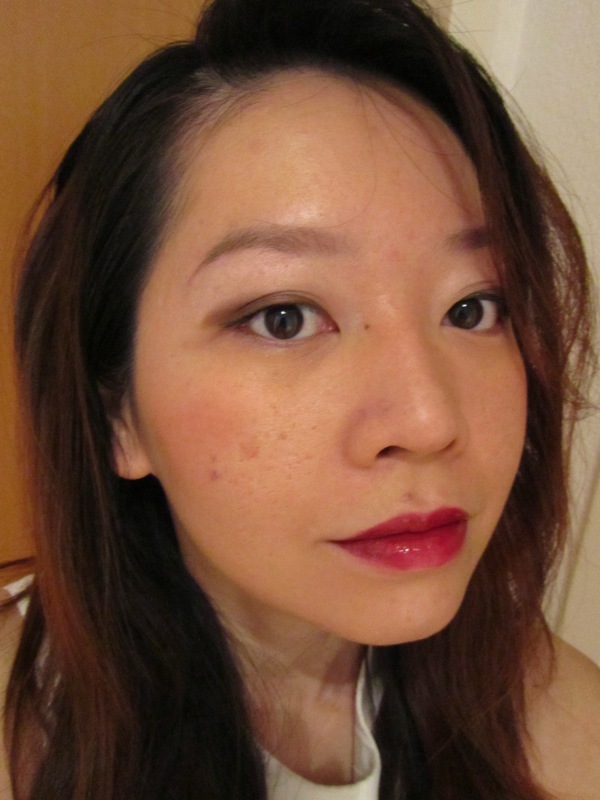 I also used the concealer under the eyes and at the sides of the nose, and the luminizer just above the apples of the cheeks and the centre of the upper lip. 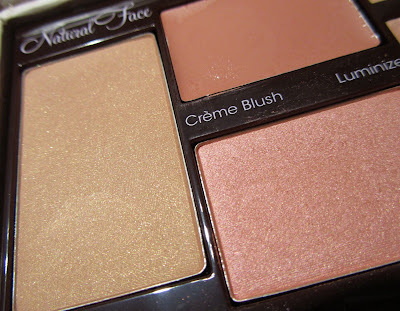 Overall, I do like the Natural Face palette because of the pretty palette design and the convenience that it offers. Very often, I waste a lot of time rummaging around my stash looking for different products. Most of the shades also work well for me, although the concealer offers less coverage than what I need. You can read more reviews on Lady of the Lane and Gouldylox Reviews. 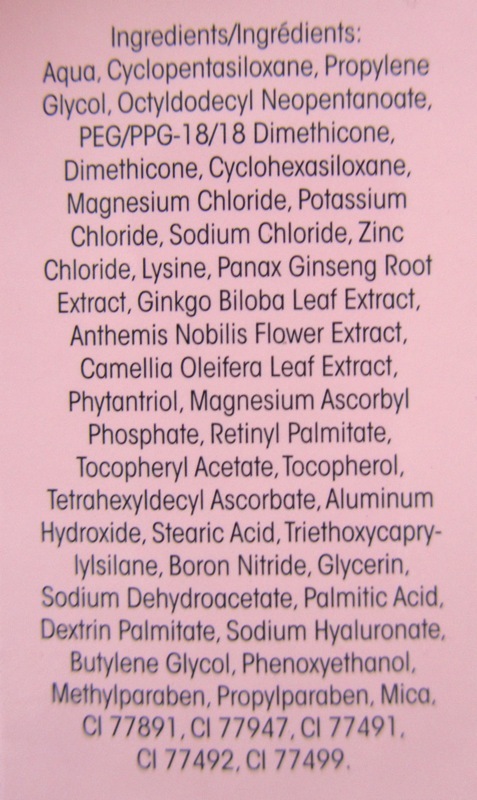 The list of ingredients is below. 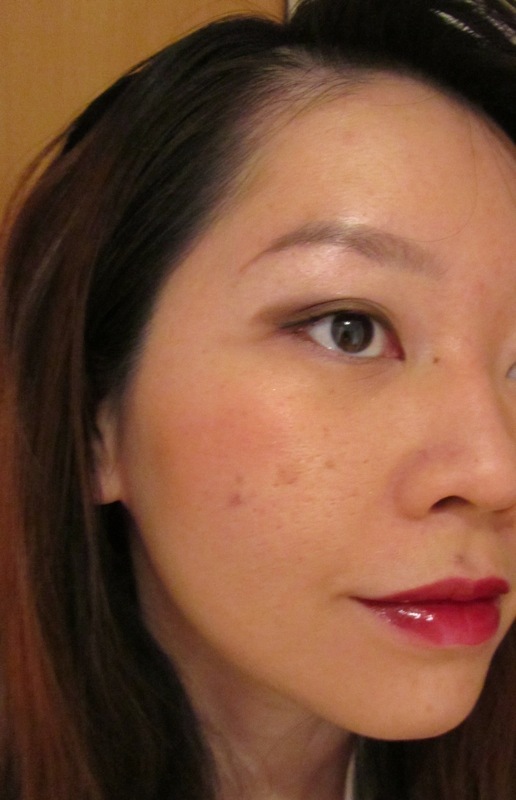 On the lips, I'm wearing YSL Rouge Pur Couture Glossy Stain #14 Fuchsia Dore. The Natural Face Palette looks interesting with all the neutral toned countour shades. How are the prices in Switzerland compared to Paris? TF is not available in Switzerland as far as I know. 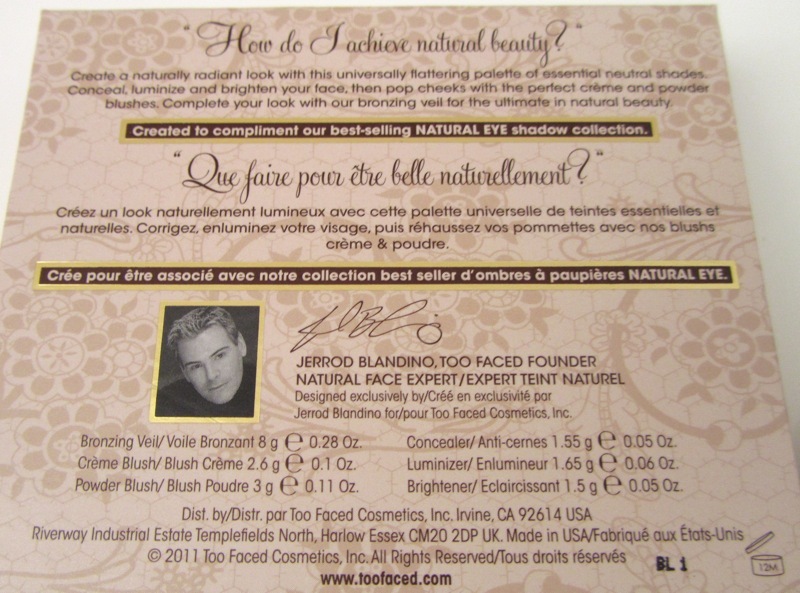 I purchased the Natural Face palette at Sephora in France. 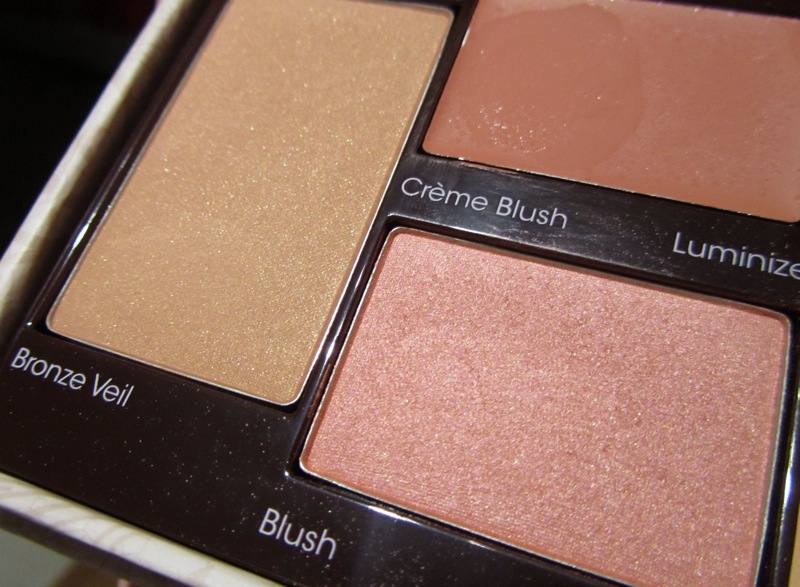 Love the 2 blush shades! looks so pretty! 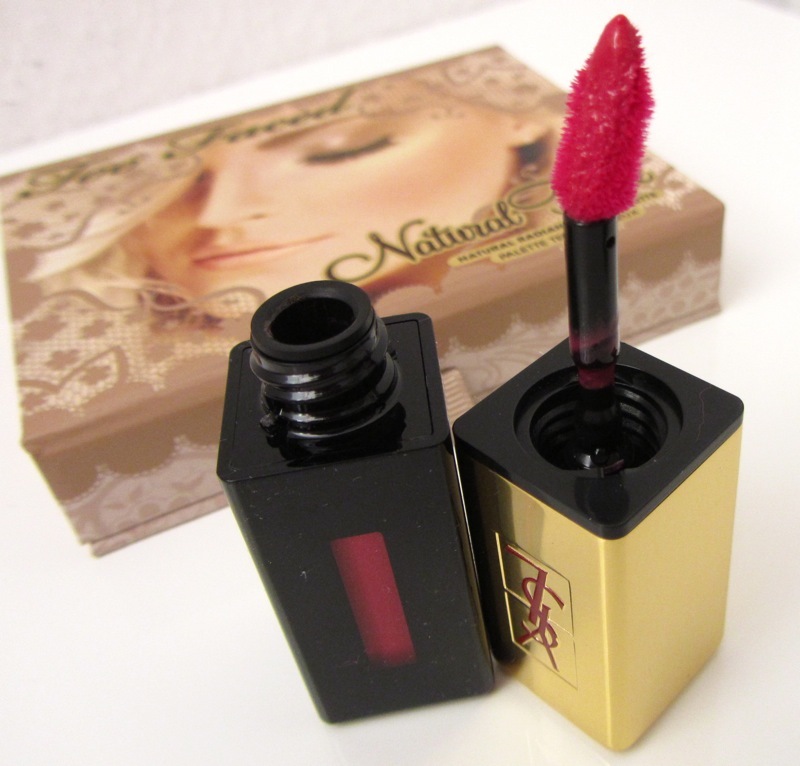 YSL glossy stain looks real yum too!